Election results from Convention 85 are online! On November 6, 2016, people from around the Rochester area gathered to discuss "the unholy trinity" of poverty, racism, and violence in our communities. A short documentary, featuring interviews of faith leaders and community members, was screened at the event. The documentary, along with full source interviews, can be found below. Filming and editing by Matthew Townsend/Episcopal Diocese of Rochester. Christ Episcopal Church in Corning has appointed a Southern Tier native as its new rector. The Rev. Troy Preston was formally inducted and ordained to the priesthood by the Rt. Rev. Prince G. Singh, Bishop of the Episcopal Diocese of Rochester, on Oct. 2. More than 400 clergy and parishioners from throughout the diocese and from Corning-area churches of all faiths attended the service. The Very Rev. David Hefling, rector of St. John’s Episcopal Church in Canandaigua, delivered the homily. Youth in Mission: Missionpalooza 2016! This summer fifteen youth from four different churches gathered together for a week of community service in the City of Rochester. The youth, in grades 6-12, spent time at different organizations, all with a different focus on addressing poverty in the city. We served at 540 West Main Street, St. Peter’s Soup Kitchen, St. Mark’s & St. John’s Episcopal Church, and Cameron Community Ministries. 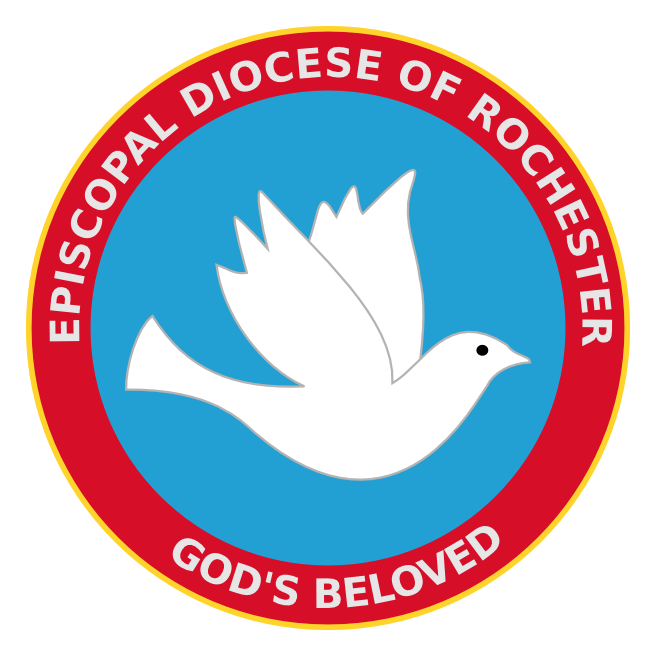 As leaders of faith communities in Rochester, we are compelled to respond to the white supremacist propaganda disseminated in Pittsford and Brighton in the past two weeks. We do not believe that the perpetrators of these acts represent the people of Brighton or Pittsford. Indeed, citizens in Pittsford made that clear when they marched on Sunday, October 2 to demonstrate that they do not embrace the values expressed by the so-called “White Rochester” group. PittsForward is a shining example of what Rochester truly is: a vibrant interfaith, multicultural and inclusive community. This November, national and local leaders will gather in Rochester to discuss a challenge identified by Martin Luther King, Jr., that still plagues the United States: the ever-present link between poverty, racism, and violence that oppresses people in our communities. Episcopal Church Presiding Bishop Michael Bruce Curry and Rochester Mayor Lovely Warren will join a group of other civic and religious leaders in addition to youth from Teen Empowerment to explore concrete ways to support people traumatized by these forces. The event, From Nightmare to Dream: Overcoming the Unholy Trinity of Poverty, Racism & Violence, is free and will be held at Integrated Arts and Technology High School, 950 Norton Street, on Sunday, Nov. 6, 3 p.m. to 5 p.m.